Our besties. Our mom. Our little sister. Everyone is obsessed with the Duchess of Sussex—can you blame them? We’re dubbing 2018 the year of Meg and channeling her style to up our gifting game. Here are 14 picks Meghan Markle (and her adoring fans) would approve of. On her Royal tour, she was spotted wearing Prince Harry’s puffer coat, and now everyone wants one. While you may not be able to get your hands on his, you can grab one just like it. Meghan is probably this product’s biggest fan. She’s dubbed it her favorite beauty product for its glowy finish—and it just so happens to make the perfect stocking stuffer. When it comes to shades, Meg is a total classic. She’s been spotted in retro round frames since before she was you know, royal. This totally affordable tinted lip balm has been one of her favorites since her TV days. 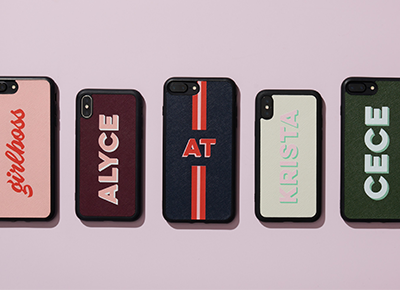 Grab one for all your royal-obsessed besties. The Duchess gave a similar-looking bracelet to her closest friends (including Kate Middleton) on her wedding day. Gift them to your friends and you’ll basically be part of their friend group. A self-proclaimed homebody, Meghan probably has a million pairs of comfy-yet-chic sweats for lounging around Kensington Palace. These ones are cashmere, so they’re bound to make anyone feel royal. This chic fig-scented candle is beloved by many celebs, including Meghan. It makes the perfect gift for anyone with a candle obsession (um, all of us?). When Meghan was spotted carrying this exact tote, it sold out in record time. But it’s back in stock and makes the perfect everyday bag for anyone on your list. Another beauty product the Duchess swears by? This smoothing, plumping and brightening mask. It’s a bit pricey, but we’re willing to shell out for skin like Meghan’s. Meghan was spotted wearing these sneaks on her recent Royal tour, and we predict they’re going to become the new Stan Smiths. Navy communicates professionalism in a more approachable way than black does. So it’s no wonder she’s been working this hue into her outfit rotation every day on her trip down-under. She’s been an avid yoga fan for years, and we can image she still practices within the walls of Kensington Palace. Back in her blogging days, she coined a new phrase for her style: Bobret, which combines Bohemian and preppy vibes—something this print fully embodies. Meghan and Harry have a special place in their hearts for Africa, so this giraffe gift set is probably already on their registry. Grab one for your bestie who just so happens to be pregnant at the same time as the Duchess (lucky). Remember the “Bobret” style we mentioned? This Breton striped tee embodies it to the fullest.